Gold prices rose slightly yesterday despite better risk appetite in the marketplace to start the trading week. U.S. stock indexes ended the day higher, buoyed by some strong corporate-profit reports. In economic news, the Commerce Department reported that retail sales jumped 0.6% last month. A separate report from the New York Federal Reserve Bank showed that manufacturing activity in the region fell to 15.8 from 22.5 a month earlier. 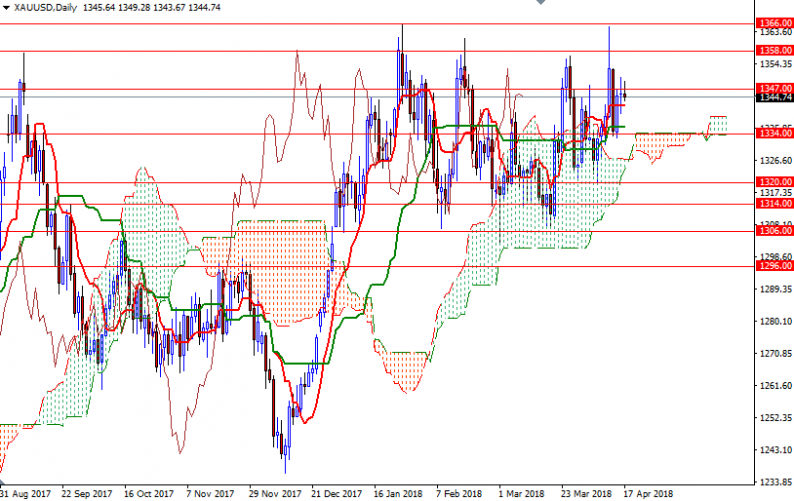 XAU/USD is trading above the Ichimoku clouds on both the daily and 4-hourly charts, and that gives the bulls an advantage. If prices get back above the 1348/7 zone, it is likely that the market will proceed to 1353/1. Penetrating this barrier would suggest an extension to the strategic resistance in the 1359/8 area. 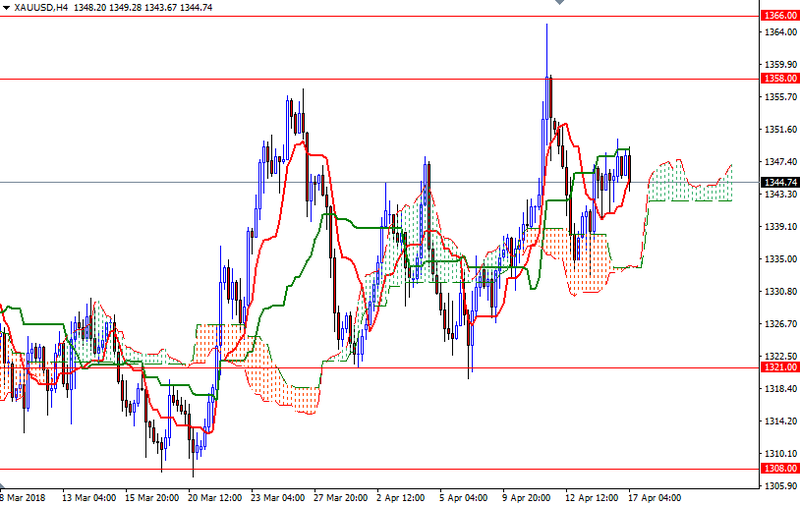 To the downside, the initial support sits in 1343-1341.60, occupied by the hourly Ichimoku cloud. A break below 1341.60 implies that the market will be aiming for 1340 next. If this support is broken, look for further downside with 1338 and 1336/4 as targets. The daily Kijun-Sen (twenty six-period moving average, green line) also resides in this area so the bears have to produce a daily close below there to take the reins and march towards the daily cloud.